We’d like to make a distinction here that holds for technical writing as much as for any other kind of writing: Writing is a process, not an act. Writing and editing go together, they are part of the same process. A sentence, a paragraph or a whole page of material doesn’t just get “exhaled” from a word processor in a burst of creativity. The material will likely need to be reworked and tidied up a bit. That’s the writing process , whether in creative or technical writing. This important caution occurred as an “Amen,” a hearty acknowledgement, to a video clip by Ugur Akinci, PhD, at the Technical Communication Center, where “tips tutorials and trends” on technical writing and communication are offered. 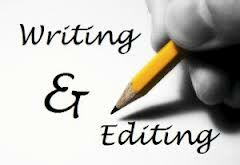 “The division between ‘writing’ and ‘editing’ is artificial,” Dr. Akinci said, “In real life, they are inseparable twins.” That’s inescapably true, and it’s so because, again, writing is a process, not an act of creation. Here are two web commentaries on efficient writing, efficient because it admirably accomplishes its purpose, whether that be to entertain or to instruct. Romance novels are one category, and academic or technical writing another. Technical writing is held to a higher standard of reality, since it describes actual (that is, current) places and/or systems. Romance writing leaves everything to the writer’s conjuring, but a good writer won’t abuse that privileged state. Academic and technical writing, notes the Precise Edit’s Blog, “can be complicated, tedious and confusing. They can be terribly boring.” And there’s no way to waive such abuses of a reader’s time and attention to duty. Density is density, boring is boring. On the other hand, romance writing, in which the author’s imagination controls the narrative, can be turgid, too. Writing a romance novel, however, is more like creating and solving, or leading the reader to solve, an imagined puzzle. “I provided the pieces and left the reader to put them together.” Leaving it to the reader to put a piece of technical writing together, though, could lead to real-time peril. The two are not equivalent kinds of writing. Yet both romance and technical writing need to engage their readers, either by stirring their imaginations or leading them efficiently through a process. And authors can write badly in both disciplines. Considerations of innate talent aside, why might they do that? Possibly technical writers might think their writing “is supposed to be dull and confusing, or perhaps they think it sounds more professional,” suggests the Precise Edit’s writer. Or “maybe they have read a lot of poor writing, so when they review their writing, it sounds ‘right. '” Oh dear. In the case of a romance writer under full steam, a tale has to hang well together. “I still create an extensive dossier capturing details on each character’s life and use it to help determine what they might do in any situation,” notes Ms.Giltenan. What a terrific way of learning and serving at the same time! And what a credit to creative American outreach in general! The E-town group is working with a U.S. Peace Corps program in Gambia.